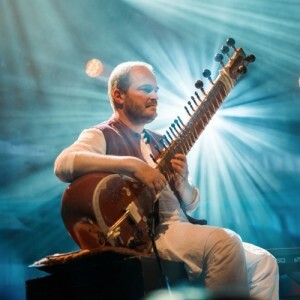 « The Borderless Project » is the unique encounter of Sitar and Handpan, 2 extraordinary instruments. 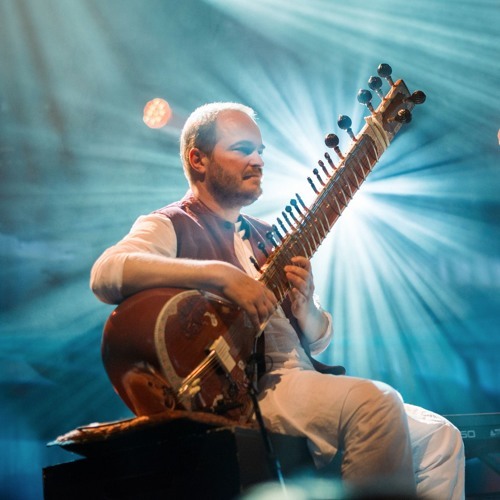 We invite you on a special journey, combining world music and zen music. Enchanting and hypnotic melodies, groovy beats and powerful vibrant waves of sound combine for your pleasure. Sit down, relax, take a deep breath… and enjoy the journey! Joachim Lacrosse is both musician and professor of philosophy. After a long time practicing classical and jazz guitar, he falls in love with a sitar, October 1999 in Varanasi, North India. He starts learning there under Raj Bhan Singh, then heads south to Bangalore, South India, and learns under Rama Rao, and later under his daughter Sadhana Rao. He is also collaborating with LYLAC, as well as leading and playing in other projects involving narration (Ainsi parlait Kabîr, les Kâma Sûtra). He has performed many times in Belgium (Europalia India, Botanique, Brussels Summer Festival, Cultural Centers, Francofolies, Ferme du Biéreau, L’Aquilone, L’An Vert, Jam’in Jette, Art Base, Cercle des Voyageurs, Muziekpublique, etc. ), and also in Mumbai and Bangalore (India).